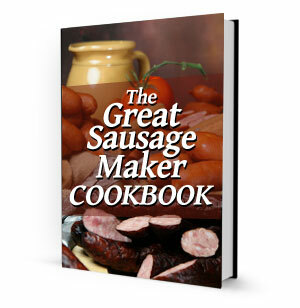 For Americans sausage evokes pleasant memories of ball games, picnics, backyard barbecues and just plain people having fun together, enjoying life. From the lowly hot dog or frankfurter to the Italian sausage or salami is eaten as the family gathers around the table or to the more sophisticated thoughts of European sausages eaten in special restaurants like Tapas Bars, English Pubs, Greek Tavernas, French Bistros or even Italian Trattorias, the sausage holds a place in our hearts. Once you get started, you'll want to make it often. The variety is endless and the best part is you always know what's in it. A must for every cook, this special recipe collection is packed with plenty of new ideas that will become family and entertainment favorites.